So you have a bunion. Finding trail shoes that fit and are comfortable is a challenge in itself. Choosing a hiking boot when you have a bunion or are prone to them is worse. We know this because we have bunions too; even the founder of this site has a bunion! So helping you find the right footwear is ​near and dear to our hearts; thus, we did the research and created this review. Now then...get ready, because you're about to discover the best hiking boots and shoes for bunions. One is the top pick for women, the other is the top choice for men. A bunion is a lump at the joint of your big toe that occurs when bone or tissue at the bottom of the toe is moved out of place. This happens as a result of abnormal motion and pressure on the joint. Without the right shoes or boots, your bunion will cause you a lot of pain and discomfort walking to the next room, not to mention how it will feel on a five (or ten) mile hike. Similar to a bunion is a bunionette, also called a tailor’s bunion. A bunionette will occur at the outside of the foot at the base of your little toe. Having a bunionette will cause you similar challenges to a bunion. With the wrong shoes, a hike with a bunionette can quickly turn unpleasant. The key then, is finding the right footwear. But what makes footwear “right” when you have a bunion (or bunionette)? To get started, we will talk about a few features that are key when choosing a hiking boot that will keep you on the trails regardless of bunions. If you have bunions or bunionettes look for a boot with a wide toe box with depth. With such a boot, your toes won’t be squished and pressure won’t be put on your bunion. Many hiking boots are made with a wide toe box and there are also brands that offer a “wide” boot along with their “regular” width version. This is what you want to keep your eyes out for. The toe box is the area of the shoe or boot where your toes are. A wide toe box will offer you comfort, especially when wearing them while active for a long period of time. This is because your toes will be able to move around and won’t feel cramped. The wide toe box will also help your balance, as they will have a larger platform that offers additional support. Whether you have a bunion or a bunionette (or both), boots with a wide toe box are a must. Boots made of softer leather are best for bunions as pressure on the bunion will cause friction and can lead to localized inflammation. Outside of a soft leather, you want to be sure the material is stretchable. Good arch support will be important in your boots as it will decrease the pressure on your big toe, which will relieve pain. With good arch support, your weight will be more evenly distributed and not concentrated on your big toe and your bunion. A removable footbed can be helpful; if necessary you can replace it with orthotics that work best for you. Before we launch into our picks for the best hiking boots for bunions, we have a few recommendations for increasing your comfort while on the trails. Think about adding a little extra protection for your bunion or bunionette. Lambswool or moleskin, for example, can be used as additional cushioning for your bunion. When it comes to protecting your foot, don’t forget to think about your socks. You will want to avoid cotton socks, which have a high “coefficient of friction”. What this means is that they are rough and are likely to irritate the skin over your bunion. They also lack cushioning. Wearing cotton socks with bunions is like asking for trouble. Instead, find a sock that is made of materials (acrylic materials are popular) that lessen friction from your boots and that offer padding for the bunion. Some socks even encourage separation between the toes. These socks should also wick moisture from your foot. First, check out out our guide on how to fix a bunion without surgery. Next, consider taping your bunion. This won't resolve you bunion but it will relieve some of the stress on your foot and encourage normal motion patterns. Check out the video below to learn how to tape your bunion. If you have been looking for a reason to invest in trekking poles here’s your chance. These poles will lessen the impact on your feet, particularly when going downhill. This is good news for keeping your feet pain free when hiking with a bunion. While these tips will help keep you comfortable, they is no substitute for a pair of hiking boots that fit, bunion and all. So let’s get to it…read on for our top 6 best hiking boots for bunions where we will review three top options for women and three for men. 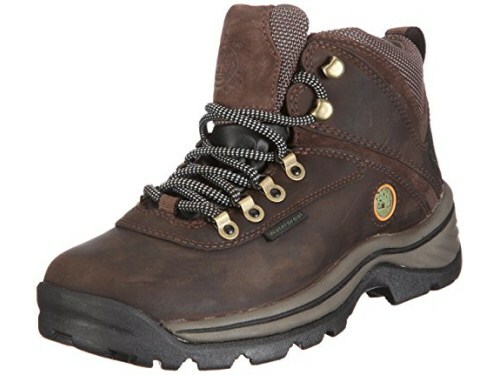 Let’s start with looking at the Timberland Women’s White Ledge Hiking Boot. These boots come in “wide” which means that we are off to a good start when looking for a boot that will be comfortable for bunions. 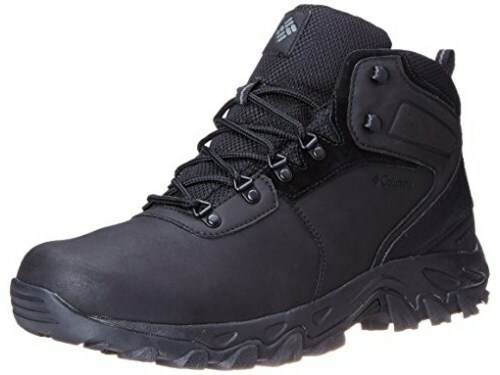 In addition to the wide toe box (a must), these hiking boots by Timberland hit the mark in other ways. Like the foot bed; it is removable so if you need to insert a custom orthotic you can do so with ease. What else? These bunion-friendly boots include a dual-density EVA midsole which will deliver arch support and cushioning, evenly distributing your weight across your entire foot. The rubber lug outsole will keep you from slipping and sliding, no matter the terrain, keeping you upright and avoiding further irritation to your bunion. Keen boots are known for having a wide toe box, so it is no surprise that the Keen Women’s Targee II Mid WP Hiking Boot made our list. In addition to the accommodating toe box, like the Timberland boots we just discussed, these boots offer a removable foot bed (dual density, foam) so you can add your own inserts for your comfort and support. 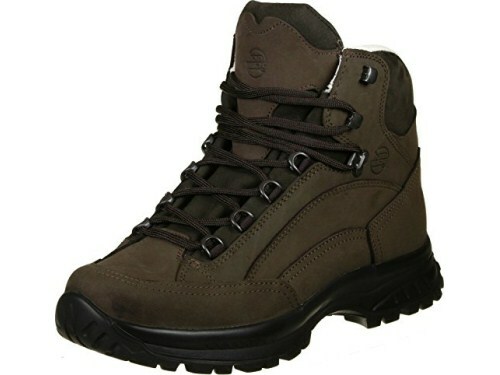 These boots are a great option for day hiking and light backpacking. How about that midsole? These boots by Keen offer a compression-molded EVA foam midsole; this is important in general for even weight distribution, but even more when keeping bunions in mind. This midsole will help keep all of your weight from being put on your big toe and aggravating your bunion. While it is wonderful that shoes with a wide toe box will meet the needs of those with a bunion, there is nothing like a boot made specifically for the condition. Or is there? The next boot we will look at is the Hanwag Alta Bunion Boot. We call these "bunion friendly", because they are made specifically for those with bunions, these boots provide the features that will keep you comfortable on the trails. Just what do they offer? To start, these boots offer the extra room you need and the inner side is made of a soft leather lining with no seams at the big toe joint. This will minimize rubbing on your bunion and the soft leather means less irritation. Deep pull lacing will deliver a firm fit at the heel of the boot and clamping lace hooks at the top of the upper will help you get the fit you seek at your ankle. To avoid irritation of your bunion (and pain), it is important that your heel and ankle be stable in the boot so that your feet don’t slide around. 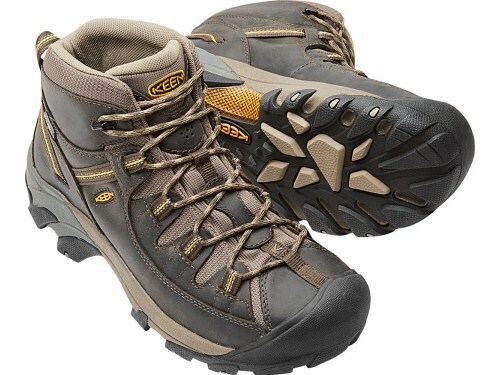 Men also have bunions and we have some good news; Keen makes the Men’s Targhee II Mid Wide Hiking Shoe. Yes, you read that correctly; this shoe is offered in “wide”, making it a possibly more appealing option than the woman’s shoe. Like the woman’s version, these hiking boots by Keen offer a dual density removable foot bed; if the arch support is not sufficient you can easily keep the pressure off your bunion with your own custom inserts. Remember that the midsole is another important factor when choosing the best hiking boots for bunions, as it absorbs shock. Keen offers a dual density, compression molded EVA midsole, which will both protect and support your foot (keeping you from putting all of your weight on your bunion) during your hours on the trail. 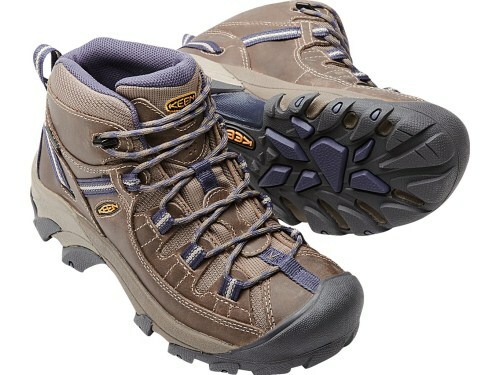 These boots are great for day hiking and light backpacking. A good option for hiking and light backpacking, those with bunions may want to consider the Lowa Men’s Renegade GTX Mid Hiking Boot. Available in “wide” sizes, these hiking boots by Lowa have the space available in the toe box for comfort even with a bunion. Also appropriate for light backpacking, these hiking boots offer a climate control footbed that has comfort perforations to enhance their breathability. If the footbed does not provide the support you need it can be removed and replaced. These boots by Lowa include a full length nylon shank, which is the supportive structure between the insole and outsole. The full shank will provide more support than a ¾ length shank, which is important when considering keeping your feet stable, supported and comfortable. 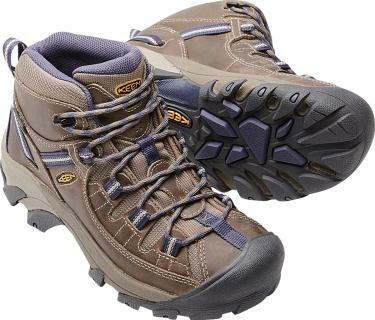 When choosing a boot that will be comfortable with bunions, the Columbia Men’s Newton Ridge Plus II Waterproof Wide Hiking Shoe is worth a look. To start, you can purchase this boot in a “wide” size, which should offer you the room you need to keep comfortable during a long hike. However, this is not the only feature of these boots that we like. As with the other boots reviewed, the removable footbed is key so that you can replace the insole if necessary to one that works best for you. We also like the Techlite lightweight midsoles, which are full length and provide significant support. In addition to the comfort these midsoles deliver, the cushioning they offer make them excellent for shock absorption. 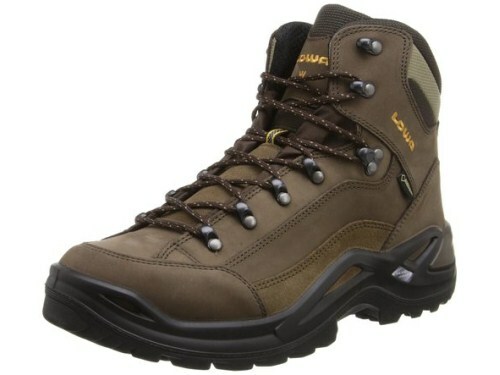 These hiking boots by Columbia include a shank located under the arch, which will provide stability and support without eliminating flexibility. If you are looking for hiking boots for bunions, The KEEN Women's Targhee II Mid WP Hiking Boot and the KEEN Men's Targhee II Mid Wide Hiking Shoe are our top picks. These decisions were not easy; a boot made specifically for those with bunions sounded ideal, however the Hanwag Alta Bunion Boot did not have what it takes for backpacking, an option that many would like to have. On the mens's side, we were impressed by the Lowa Men's Renegade GTX Mid Hiking Boot; what sold us on the boot by Keen is the durability they offer, something that might be an issue in the boots made by Lowa. A bunion does not need to keep you off the trails. Take advantage of our research to find the right boots for you and keep on trekking.